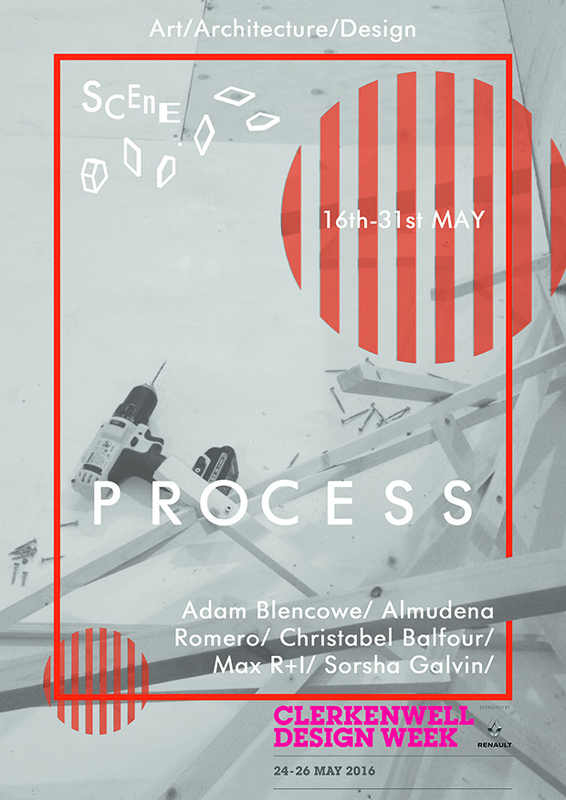 We are looking forward to the final instalment of Process which opens on 16th May at Dreamspace Gallery, Clerkenwell. The exhibition is the culmination of this spring’s series exploring the various creative processes across creative disciplines including design, architecture, sculpture and art, and will bring together the work created by artists and designers over the course of their residencies and workshops with Scene. Artists included are: Adam Blencowe; Almudena Romero; Christabel Balfour;Max R+I; and Sorsha Galvin. On Tuesday 24th May the exhibition will be open late as part of the Clerkenwell Design Week, when participating artists will also be giving informal presentations on their creative processes and their participation in the Process Series. Tickets for this event, ‘Creativity in Process’, are available here.